My education on the guidance of the Holy Spirit was finely tuned in the 12 years I spent as a hospital chaplain. All of my chaplaincy work was at Methodist Hospital in San Antonio, most of it in the Children’s Hospital. Barring a crisis, my day started out with rounds on my units beginning with the highest level of care – the Pediatric Intensive Care Unit, and ending with the lowest level of care – Pediatric Medicine. Interspersed with those rounds were turns being on call for the whole hospital. Depending on what was going on in a given day, I might get all of Children’s Hospital covered. More often than not, I would get stopped to tend to an emergency call such as a situation in Children’s Emergency. In between all of these situations would be regular staff team rounds in which we discussed medical needs and psychosocial and spiritual needs. While each day began with my “check list” of things to be done, I had to learn very quickly to throw out the list to respond to the immediate needs. 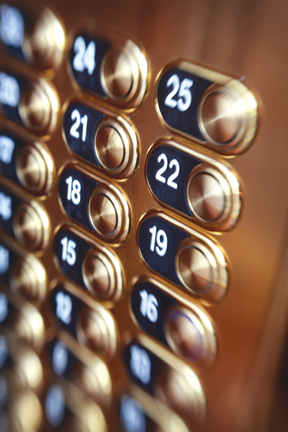 As I made my planned rounds, I began to notice over time that often when I got into the elevator headed for a routine call, I would feel a “nudge” to go somewhere else. I would get into the elevator thinking of the next unit on my list, only to push the button for another floor. It was a slow process of learning to respond to these prompts, which I gradually came to understand were Spirit driven. As I learned to listen and follow this guidance, this intuitive voice from within, the nudges began to increase. We all want God to speak to us in clear, enunciated words. This was not at all the case. As I grew more comfortable with these nudges, I often responded with prayers of thanksgiving – silently, if the elevator was crowded, out loud if I was alone. Usually, these prayers were accompanied by laughing – my own laughter at how wonderful it was to feel God’s guidance through the Holy Spirit and being given the grace to listen! Needless to say, I heard over and over, “How did you know to come at this moment?” Or, “You always show up at just the right time.” Many of the staff learned exactly how I came to know these moments. It was a real “showing” of God’s presence in that place. This article first appeared in the Spring/summer 2013 issue of Reflections magazine. Read the entire issue here. When does the spirit nudge you? How?